Services to Support and Grow Your Business. We offer a large variety of services, and the first step is to figure out exactly what you need. Not sure what you’re looking for? Click any of the Learn More buttons for more info. Using WordPress and divi Webpro360 designs are built to be responsive and scalable. We want you to feel in control of the site we build you. Using WordPress not only does it allow for quicker development and less bugs, but it also allows for easier management by us and you. Projects are built using the divi theme unless a custom theme provided or requested. Divi allows for consistent work flow, leading to less bugs, and is responsible for the “scalability” aspect of smarter design. We offer a multitude of landing page styles to direct traffic where and how you want so you can hit specific goals. Perfect for promotional events or market specific advertising. 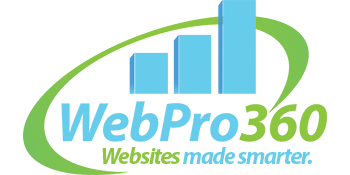 Build a better eCommerce than the competition with WebPro360’s smarter designs and building procedure. Build your online presence with a new site to display your business. We build our sites unique to your specifications and budget, not from cookie cutter molds, so you stand out from the competition. For large scale projects (and upon request) we create our builds through private Git repositories. This allows for faster, safer work flow as all files created are permanently imprinted in the repository. This also allows projects to be built naturally scalable, giving them the ability to grow as your business does. Perfect for small business who are trying to create an online presence, our basic hosting plan is a great, cost efficient way to fulfill your hosting needs. Lightning fast speeds made to handle high volumes of traffic, perfect for eCommerce or large scale project sites. Mobile apps are quickly becoming the next “mainstream” piece of software companies are looking into, and with the growing demand for mobile applications we want to help you not only build the best app, but host it too! We offer a multitude of maintenance options from basic maintenance and updates to recurring monthly plans. Basic maintenance is charged hourly and only whenever you need to update content. Recurring monthly maintenance plans are designed to take the stress of updates out of your life. We designate set hours to making sure your site is modern in style and has the most up to date code. This plan offers an affordable way to keep things up to date, and set hours can be used to make updates of your choosing as well. We offer a wide variety of paid advertising plans. Easily manageable, you can choose exactly where you would like to put your paid advertising or leave it to the pro’s over at WebPro360. Facebook ads take many different shapes and forms. Facebook allows users to not only choose ad content but where and how your ad is posted as well as where the ad takes you when you click on it, (site, facebook business page, ect.) giving you complete freedom, but with great choice comes great amounts of decision making, and we can help. Not only can we manage your ad budget but we can help you figure out how best to target your audience and where to send them afterward. What’s the use of ad’s if you don’t know how your connecting with your audience? Using Google Analytics, and other tracking software we can make sure we optimise your advertising and your website, to get the traffic you want, where you want it. Site feeling dated? Don’t worry it happens, and we’re here to help. We can help you make your site feel modern again. Whether its a few small touch-ups or a full scale remodeling, WebPro360 has your back.